These knee warmers will add two layers of insulation across knee. 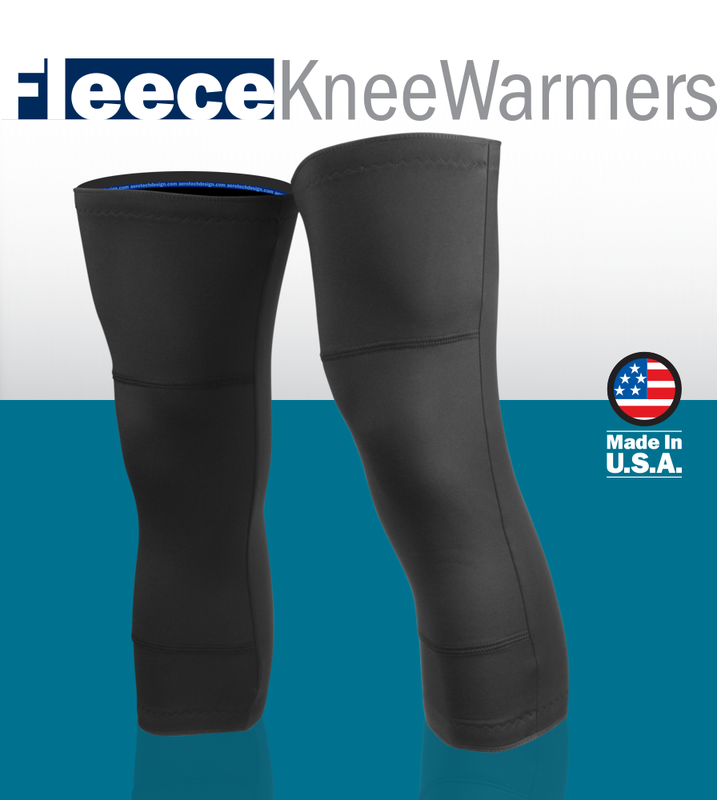 Protects thigh area from winds with a thermal layer of insulation against cold. FABRIC: The stretch fleece a high performance thermal material which is engineered after the polar bear's fur. The hollow core of filament yarns trap air to improve thermal insulating characteristics. The heat is stored in the hollow core center and released back to your body to keep you warm the same way polar bear fur works. The hollow core fabric allows you to enjoy all outdoor activities and stay warm in the cold climate. It is warm without weight feature provides a full freedom of movement which is good for garments where warmth really counts. Fabric is all way stretch poly spandex with a brushed fleece internal and smooth exterior. Fits this Range: 14" to 17" 16" to 19" 18" to 21"
These are critical for winter riding/racing. I don't like the baggy look or feel so I bought the insulated bibs from ATG. They are decently windproof but the knee area (same as toes and hands) are susceptible to tremendous heat loss compared to other parts of the body. These knee warmers placed underneath the insulated bib tights are my key to success. The Medium/Large is just a large, and I need a medium. So far, they stay in place, but they have some wrinkles and look a bit baggy rather than sleek. I do appreciate the double layer at the knee. They came thru a lightning storm with a lot of rain and a bit of hail, and kept me warm. If you need a small or a large then I'd say go for it. If you need a medium, pay the bit extra for a product that comes in medium. These knee warmers stay in place! They provide the maximum blend of warmth plus gentle support, you can forget that you are wearing them. Going back for a third pair. I use these in all conditions in Alaska down to about 45F/7C. They fit great: the "Large" was plenty long without being too wide (I have a 34" inseam). I appreciate that they stay in place through all sorts of riding. My arthritic knees were starting to complain as the weather got colder this past year more than usual and just tights weren't enough. I added the ATD Knee Warmers and they have provided the warmth and support that I needed. I have been able to ride in temperatures down to 10 F and wind chills in the negatives. The snow hasn't been much of a bother either. Sine I received them I have not ridden without them. I will probably ride with them until the temperatures stay above 45 F.
I'm 5'11" 175, athletic legs and size small fits perfect. I got them a few weeks ago. Tried them on a 50 degree day with wind but they were way to warm. I was sweating within 15 minutes. Looking forward to some warm knees this fall! Buy Smaller Than You Think! Bought the XL/XXL knee warmers and they're actually a bit too big on me... that never happens! I'm 6'2" and 310-lbs and thought I'd need the bigger size, but these are a bit too loose. Wish I could've exchanged for a smaller size, but too later after I wore once. Warm and well-constructed. Planning on some cold bike rides! 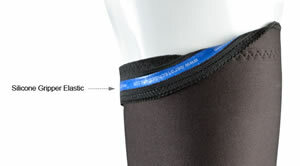 These knee warmers are longer than others on the market and truer to size. They extend from-mid thigh to mid-calf and the silcione grippers keep them in place under my shorts. Knee warmers that I bought last season would slowly work their way down my leg because they were not long enough and not sized properly. Days below 60 degrees down to about 30's keeps knee pain associated with cold weather from keeping me off the bike.